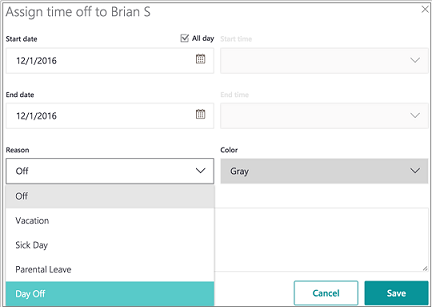 In Microsoft StaffHub managers can edit the time off reasons that show up on the schedule and on the app for employees to request. 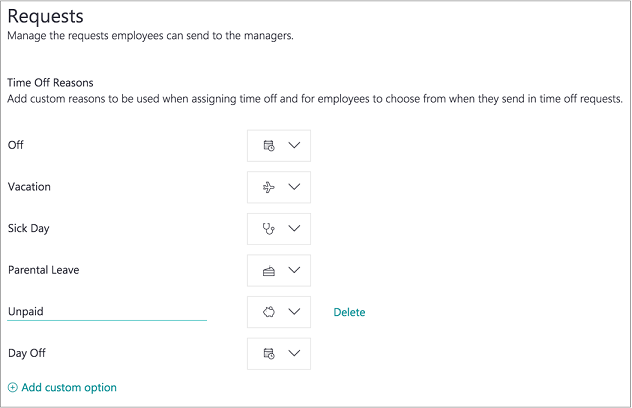 Managers are able to add, edit, or delete time off reasons. Adding and editing your time off reasons is super easy. Once you log into your Microsoft StaffHub team on the web, go to the Team tab. At the bottom of the team page, there is a section labeled “Requests”. 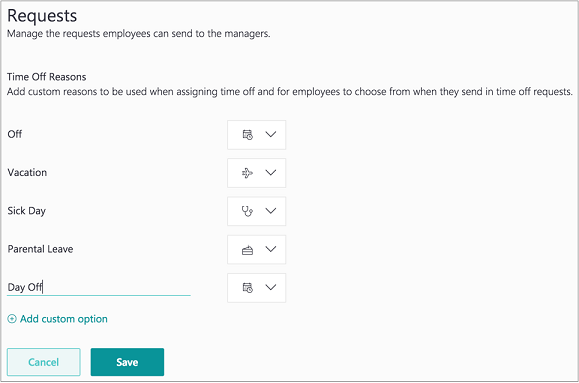 You’ll see the default time off reasons we’ve added for your team that you may already use. To add a new reason, click “Add custom option”. Type in your time off reason and pick an icon if you’d like. Don’t forget to click “Save”. 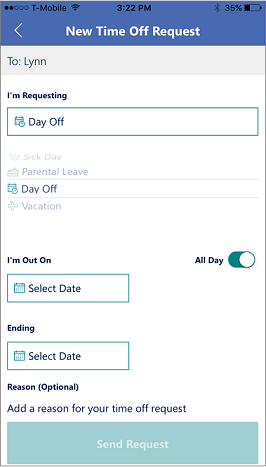 You’ll now see your updated time off reason list on the web, and now be able to assign time offs with that label. 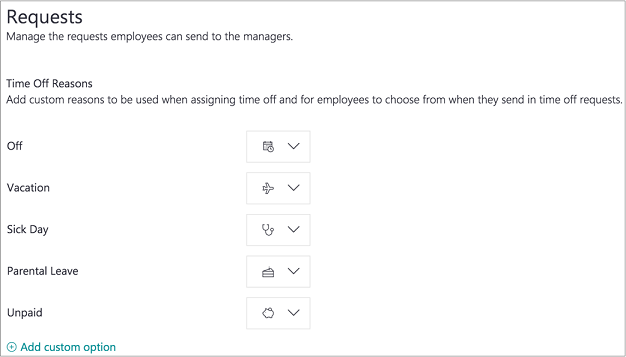 Your employees will also automatically see these new time off reasons on the Microsoft StaffHub app to request.